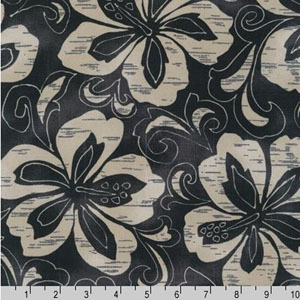 Khaki Polynesian large hibiscus design on faded black background. For reference the flower is5 inches across. Repeat every 24 inches.